This unique, dual-sided doona quilt made with natural alpaca and wool helps you end the one’s-hot, one’s-cold battle so both you and your partner can sleep comfortably, night after night. The Classic His & Hers Alpaca quilt features an optimal blend of 60% alpaca fleece and 40% wool, with a 300 grams per square meter (gsm) weight on one side, and 450 gsm on the other. This allows one partner to enjoy extra warmth, while the other stays cool. The His & Hers quilts are also perfect for singles as a premium year-round cover that delivers optimal sleeping temperatures. Alpaca fleece in its natural state is allergy-free and luxuriously soft, producing a beautiful handle and drape to bedding products filled with this material. In addition, alpaca fleece is moisture absorbent, which allows bedding to remain warm in the winter, and cool in the summer. Originally from South America, legend states that alpacas were a gift to the ancient Inca peoples, and the fleece of this prized animal was reserved for the royal family. 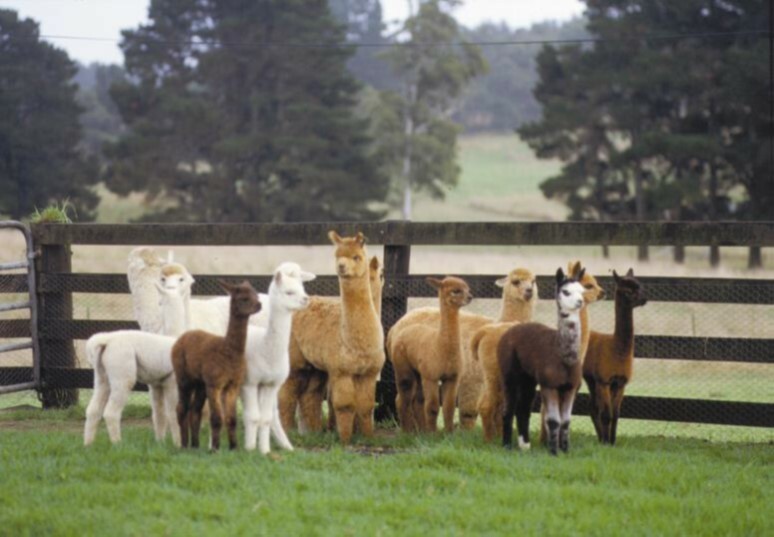 Today, alpaca fleece is among the rarest and most desired animal fibres in the world. Alpacas were commercially imported into Australia beginning 30 years ago, and have adapted well to the climate and the geography. The population of these beautiful, intelligent animals in Australia today number approximately 125,000. 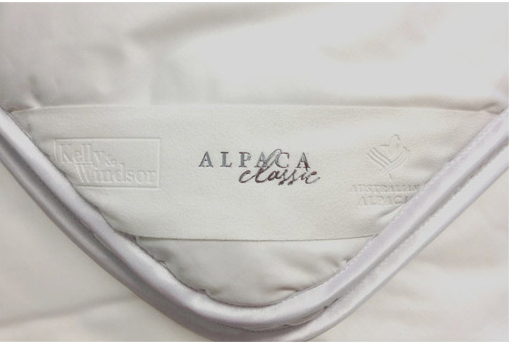 Kelly & Windsor Australia uses only the fleece of Australian raised alpacas in their luxury bedding products. For more than 12 years, Kelly & Windsor Australia has designed and manufactured exclusive luxury bedding and accessories. Their quilts, pillows, and underblankets are made with Australian grown alpaca fleece and other natural fibres, ensuring an unparalleled premium quality throughout each and every product. Alpaca bedding is their core business—they are the world class leader in non-woven alpaca processing. 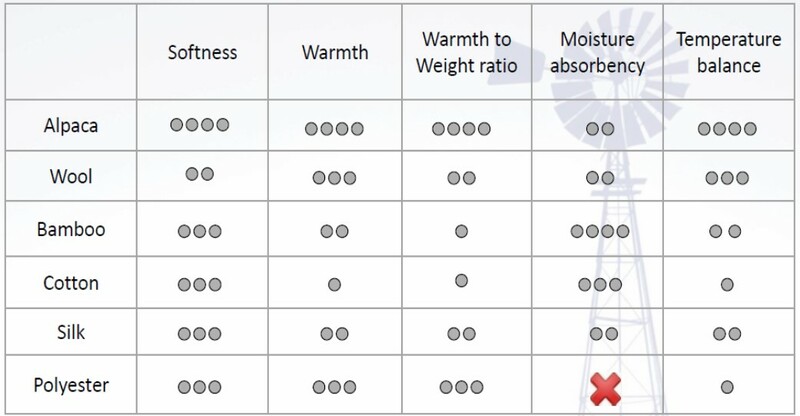 They focus exclusively on this unique and innovative material in order to deliver luxurious, high performance bedding in multiple styles and brands throughout Australia and internationally. Kelly & Windsor is 100% Australia owned and Australia made…and that includes their alpacas.